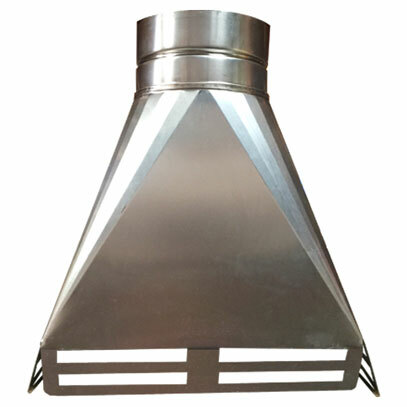 Chimney gather hoods are used at the base of the chimney stack. They allow for the gather of flue gasses, with minimum resistance to flow. They are generally used in open fire installations. We offer both standard gathers, and made to order bespoke gathers. Both types are availabe to order online.